What do you do if you have managed to save an extra S$10,000 in your bank account? One way is to do nothing and let inflation of 2% eat into your savings, or spend it all on an exotic holiday like what most YOLO Millennials will do. Editor’s Note: If you are keen to jump the line and learn from a community of personal finance savvy individuals, who are unbiased and open to sharing with beginners, join our friendly FB group now! If you are more forward looking and would like to make this sum of money work for you, you have chanced upon the right article. We were as curious and decided to ask some of the top financial bloggers in Singapore for their advice on what they would do with this first $10k investments. Healthcare & Insurance: Being a woman, I focus on protecting my downsides. I am also concerned about my future and on making sure that my loved ones are taken care of. First, I will invest in health care and insurance by making sure that I am prepared for medical expenses and hospital bills. I will buy accident, health, critical illness insurance. STI ETF: I will invest the rest of the funds in an ETF, particularly the Straits Times Index (STI). The STI is composed of 30 of the best companies in Singapore and is an easy way for new investors to participate in the Singapore story. Dividend and blue chip Stocks: Other than ETFs which just matches the index, I will personally consider dividend stocks and blue chip stocks which generate more passive income and more stable over a longer timeframe. I am going to cheat here a little and say if I have a little more money (I.e. Another 3k), I will look at REITs. I believe that many people will say something like invest in yourself first or start off investing in a diversified portfolio which comprises of stocks and bonds. Take for example my wife invests in 800 Super and OCBC because the former helps to collect rubbish around our estate and she has opened an account with the latter. Although she doesn’t keep track of the company news or results (okay I help her do that), she can sleep with a peace of mind knowing her companies will still be around when she wakes up. Furthermore, it puts a smile on her face when she sees a 800 Super garbage collector drive past or throngs of people in the OCBC branch during the weekends. Regardless of the amount of money involved, one should only look to invest after having set aside sufficient emergency funds. This is to prevent you from starting to cash out your investments when the market is bad. This also means that managing your expenses and cash flow should be of equal priority as managing your investments. You can read more on this where we discuss a simple checklist whether you are ready to invest. 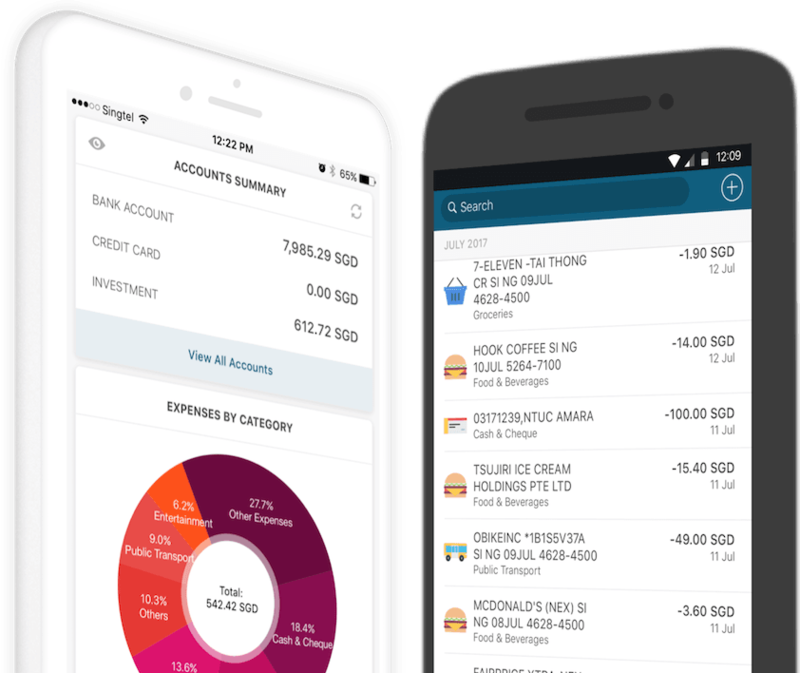 It is statistically proven that more than 60% of the population manage to save more when they track their expenses closely, be it on an excel sheet or with the help of a mobile app. Coupled this with frequent reading up of personal finance related articles, one should be on his way to a better personal finance journey. Which Job Do You Need to Afford Both a Home And a Car in Singapore?